You'll love your stay at our Nelson Accommodation. Our fantastic central Nelson location allows you to truly appreciate the amazing Nelson Region with its stunning natural beauty, vibrant arts scene, abundant harvests and its incredible people. Century Park - Nelson's Luxury Accommodation Hardy European pioneers founded the beautiful city of Nelson, New Zealand in 1842, although this bountiful, temperate region had been home to Maori for many centuries. 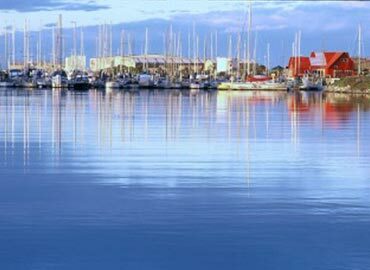 Today Nelson has the busiest port in the country and has gained an international reputation as a centre of arts. Nelson and Richmond also boast the highest number of sunshine hours in New Zealand. From Nelson city centre you can hire a car, arrange sightseeing tours and take coach/bus services available from the city. Many tourism operators provide transport to and from activities throughout the region. 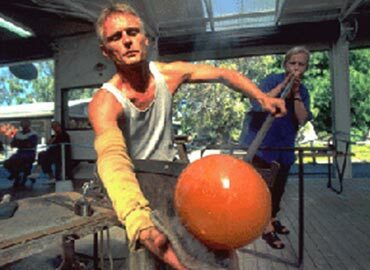 Nelson has nurtured its artists and today has a thriving, cosmopolitan arts community on the New Zealand scene. Visit The Suter Te Aratoi o Whakatu, the regional art gallery, or call in at a city studio. 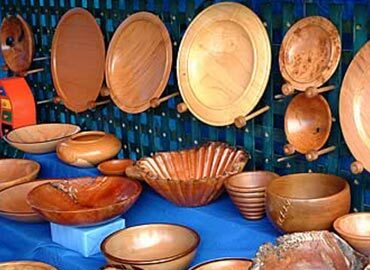 The Nelson Arts Festival in October heralds the beginning of the summer festival season. 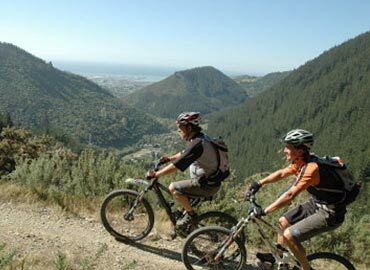 In and around Nelson and Richmond enjoy: four-wheel motorbikes, kayaking and boating on the harbour, mountain biking, skywire, horse riding, kite-surfing and helicopter rides. Tahunanui Beach offers a family playground, zoological park, mini golf, model railway, Hydroslide and roller-skating. In this section you will find out everything you ever wanted to know about New Zealand – who we are, where we are, where we have come from, what makes us tick. It is all here. All you need to add is your sense of adventure. You may be surprised to find that we are not so different from you but we guarantee you will be surprised at just what we have to offer. The total land area of New Zealand is 270,000 square kilometres (104,000 square miles), which means it could fit into Australia 28 times and fit into the United States or Canada around 34 times. However, we are slightly bigger than the United Kingdom. New Zealand is a three and a half hour flight from Eastern Australia and around a 10 hour flight from most places on the Pacific Rim, such as Singapore, Hong Kong or Tokyo. Flying time between Los Angeles and Auckland takes just under 13 hours and double that between London and Auckland. Well over three-quarters of New Zealand’s population live in the North Island and a significant percentage of those live near our largest city, Auckland. There are just over four million New Zealanders, and every single one is either an immigrant or descended from one. In fact, people from over 145 countries now call New Zealand home. It was the Maori who first arrived here over 600 years ago, followed in the 19th century by large numbers of migrants from the United Kingdom. The end of World War II saw an influx of European migrants from war-weary countries looking to rebuild shattered lives. From the 1960s, people from our neighbouring Pacific Islands, predominantly Samoa and Tonga, began settling here followed by Chinese, Korean and other nationalities in the 1980s. More recently, we’ve welcomed new residents from countries as diverse as South Africa, Zimbabwe and Somalia. New Zealand is a multicultural society and that’s a commonly used word to describe the infusion of cultures and ethnicities in New Zealand. But it’s more than this. We embrace and celebrate the richness and diversity of people who choose to make New Zealand their home. In spite of our geographical isolation (or, sometimes, because of it) we regularly succeed on the world stage. You’ll see us represented in the fields of arts, science and technology and on the sports fields as well. Maybe it’s because we don’t know we’re a small country or maybe it’s because we have a unique way of looking at life. Whatever it is, maybe it could be the place for you. By world standards, New Zealand is a very young country, with European settlement on a large scale only occurring over the last 150 years. While our history (from British colony to independent country) is relatively recent, we can draw on the culture of the first settlers, the Maori, who have been resident here for over 600 years. On 6 February 1840, in Waitangi, Governor Hobson, representing the British Crown, put his signature to a document signed by 40 Maori chiefs. In essence, this document (now known as the Treaty of Waitangi) ceded sovereignty of New Zealand (Aotearoa) from Maori to the Queen of England. In return, the rights of Maori to their land, forests and fisheries would remain undisturbed and Maori would enjoy the on-going protection of the Crown. The Treaty exists today as a living document and has, in recent years, acquired increasing importance in the development of the nation’s social and economic policies. English is the main written and spoken language in New Zealand. The ability to read, speak, write and understand English to a relatively high level makes living and working in New Zealand easier and more fulfilling. Our language is very informal and relaxed and, like you, we also use unique slang words to describe everyday things. The Maori language, also officially recognised, is experiencing a significant renaissance, with over 4 percent of the population able to speak it fluently. Specialised schools, radio stations and a television channel dedicated to the language have all helped arrest a serious decline in its use. More and more we’re seeing Maori words becoming part of the general language used by all Kiwis, for example kapai ("kar pie") = good, whanau ("far know") = a family group, manakai("ky") is food. Being in the Southern Hemisphere, our seasons are completely opposite to countries north of the equator. Winter lasts from June until August and our summer is between December and February. Because we are surrounded by sea, our climate doesn’t get uncomfortably hot or unbearably cold in the areas where the majority of us live, although extremes will be found, particularly in our mountain ranges in winter. Overall, our temperate climate ranges from 20–30°C (68–86°F) in summer, and from 5–15°C (41-59°F) in winter. New Zealand is a modern parliamentary democracy based on the Westminster parliamentary system. New Zealand’s Parliament is currently made up of 120 Members representing eight parties. New Zealanders go to the polls every three years, with the next election in 2011. John Key is the current Prime Minister and he heads the ruling National Party Government. While voting is not compulsory, as a New Zealand resident or citizen you will be required to enrol as an elector. New Zealand is a member of the British Commonwealth (along with Australia, Canada and 51 other countries) whose membership makes up 30 percent of the world’s population. New Zealand is also a member of numerous international organisations such as the OECD, UNESCO and WHO, as well as being party to a number of international agreements like the Antarctic-Environmental Protocol, Climate Change-Kyoto Protocol and Ozone Layer Protection. New Zealand has 14 national parks. In fact a third of New Zealand is protected in parks and reserves. In such a small country, you'll find incredible variety in our landscape and vegetation. With majestic mountain ranges, sweeping plains, towering forests, azure lakes, and secluded bays dotted around its lengthy coastline, a recurring theme with many tourists and migrants is New Zealand’s stunningly beautiful countryside. In fact, the only natural landscapes in the world that New Zealand does not have are deserts and icecaps! Aside from our people, the diversity and accessibility of our countryside are our greatest assets and they offer an enormous range of leisure and lifestyle options. 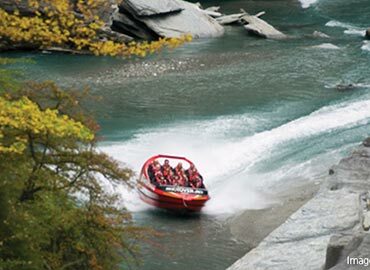 New Zealanders embrace them all – from swimming and boating to skiing and hiking.